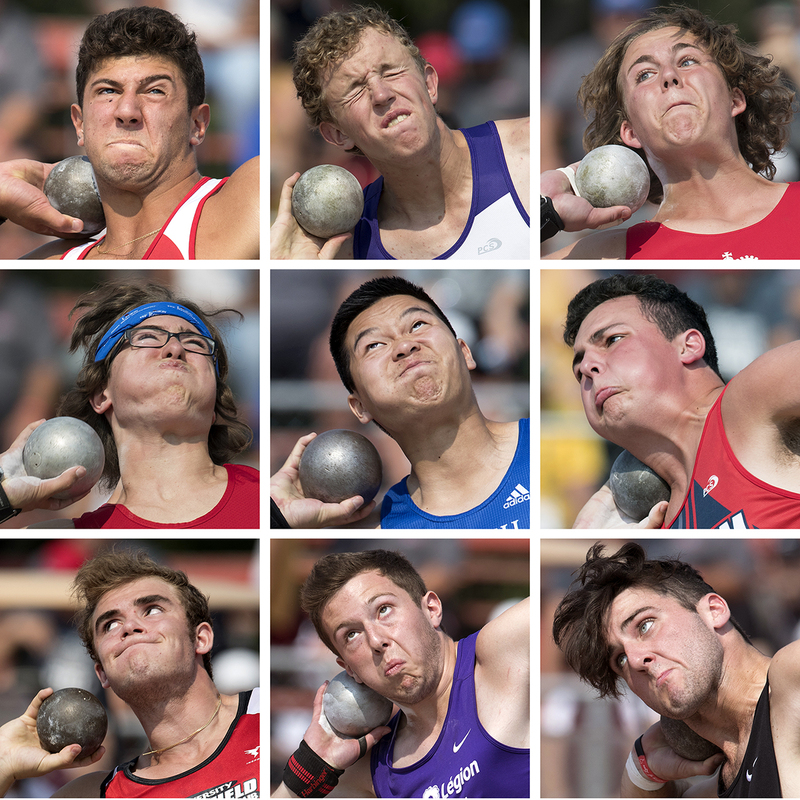 Some 650 young athletes, including 317 sponsored by local legions across Canada, met in a steaming hot Brandon, Man., for the 42nd annual National Youth Track and Field Championships from Aug.10-12. 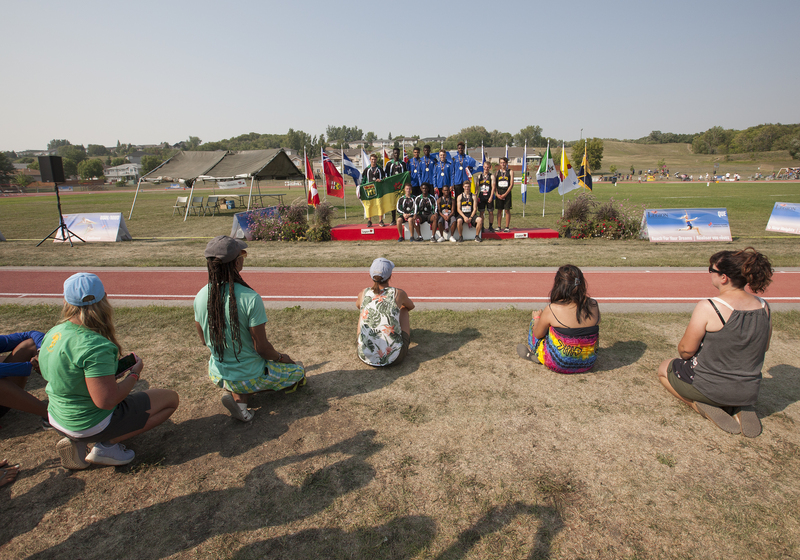 Weekend temperatures hit 40℃ as under-16 and under-18 youth competed for 333 medals in 87 events. 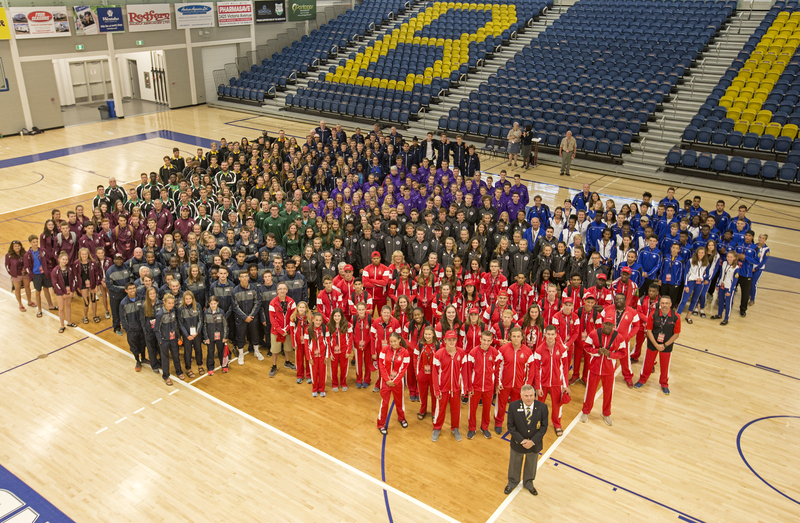 They were supported by 300 volunteers, 124 coaches and 60 officials. Here are some pictures. 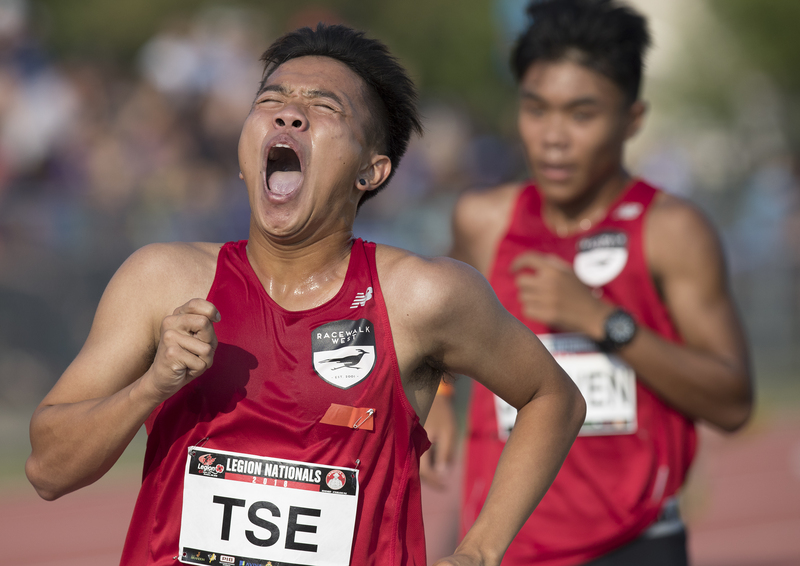 Johnny Tse of Racewalk West in Vancouver finishes a hot second in the under-18 men’s 3,000-metre race walk. 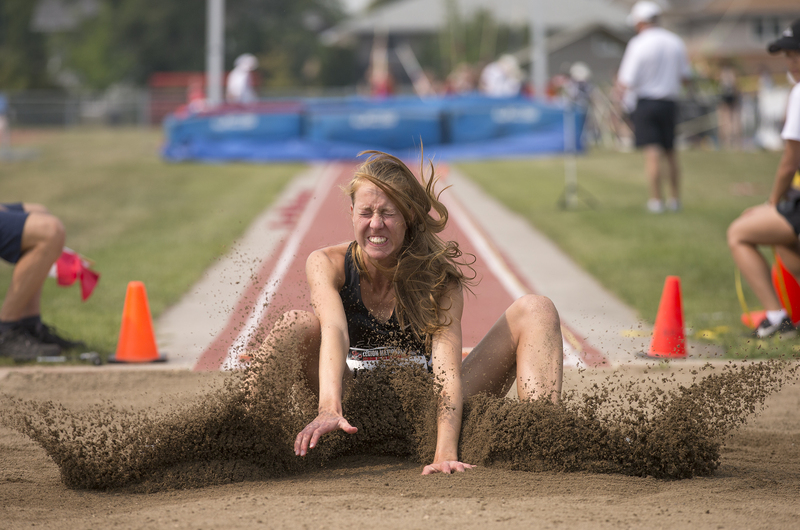 Paige Vrolyk of Sarnia Athletics sticks one in the women’s under-16 triple jump. She finished 11th. Busola Akinduro of Ontario’s Flying Angels club won the event with a distance of 12.23 metres. 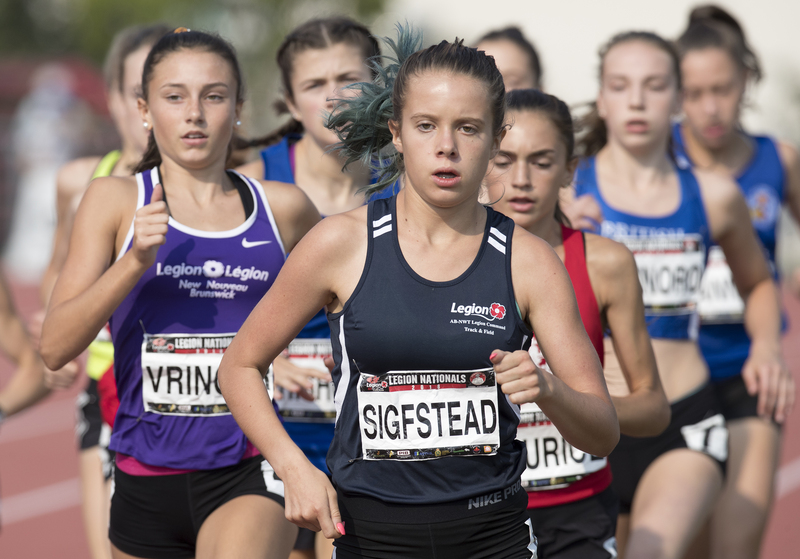 Sadie Sigfstead of Alberta won the under-16 women’s 2,000 metres in 6:09.08. She also finished second in the 1,500-metre steeplechase. 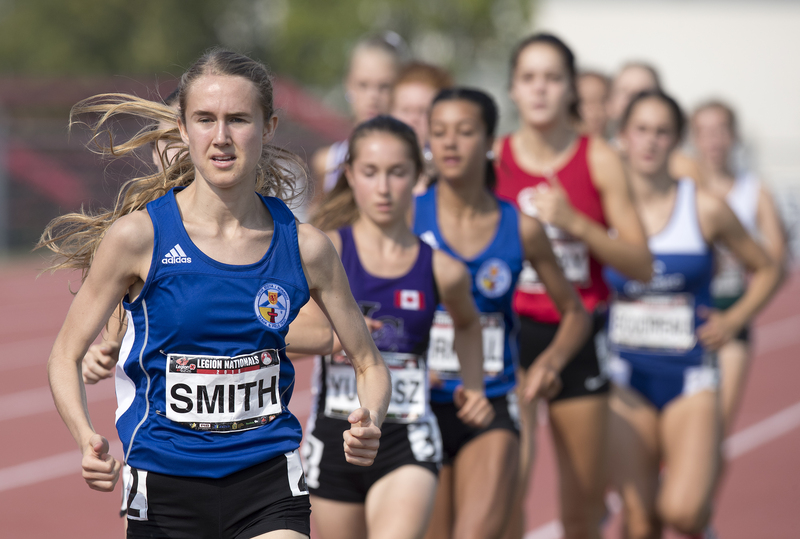 Maggie Smith of Nova Scotia cleaned up in the under-18 women’s distance events, leading wire-to-wire as she took the 1,500 metres in 4:25.11 and the 3,000 in 9:36.32, both personal bests. 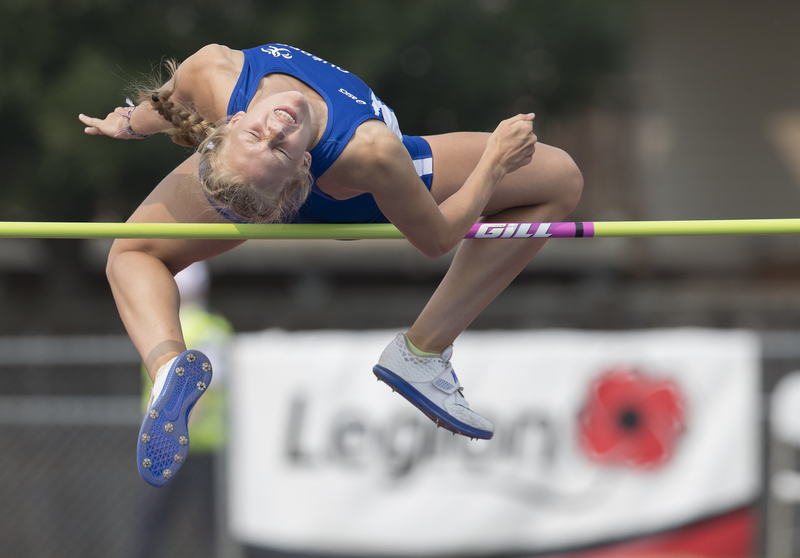 Chloé Royce of Quebec won the high jump on her way to gold in the under-18 women’s heptathlon. Royce, 17, won five of the seven events, amassing 4,909 points in her last year at the youth nationals. 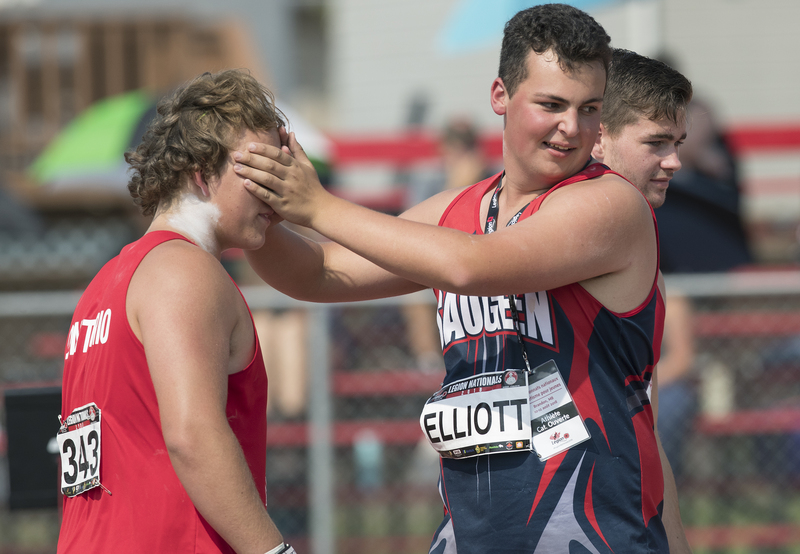 Jeremy Elliott of Ontario’s Saugeen Track and Field Club blindfolds Ontario’s Lucas Woodhall as he awaits his result in the under-18 men’s shotput. Woodhall won with a throw of 19.34 metres. 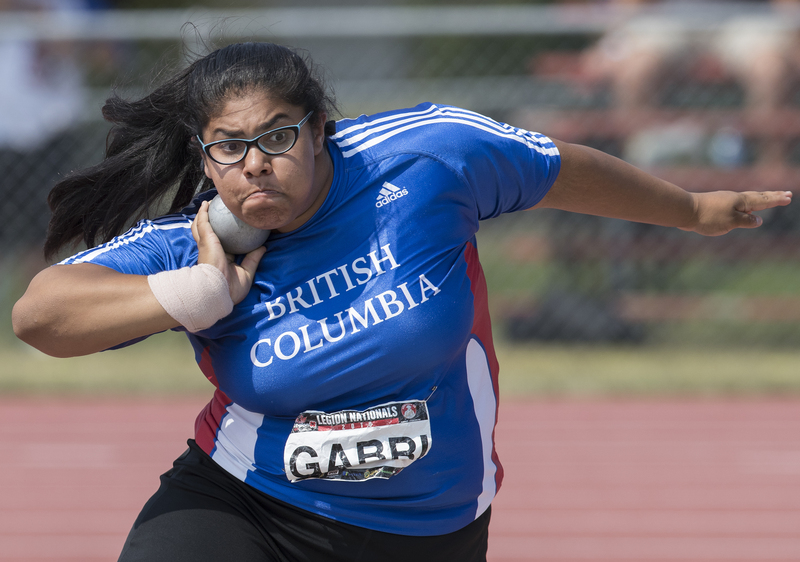 Dolly Gabri of B.C./Yukon won the under-18 women’s shotput with a throw of 14.54 metres. 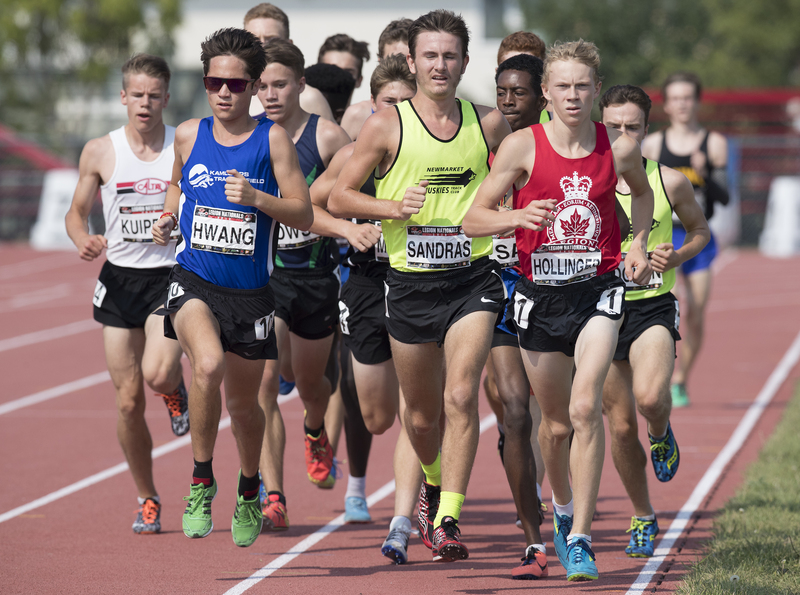 Steve McQueen lookalike Jake Hollinger of Ontario won the under-18 men’s 3,000 metres in 8:51.46. He also took bronze in the 1,500 metres. 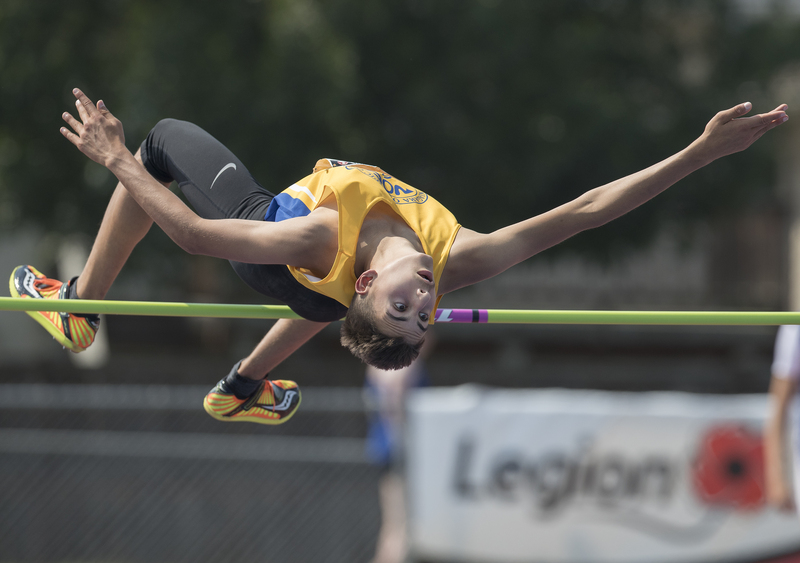 Michael Ivanov of Niagara Olympic Club clears the bar during under-16 men’s high jump. 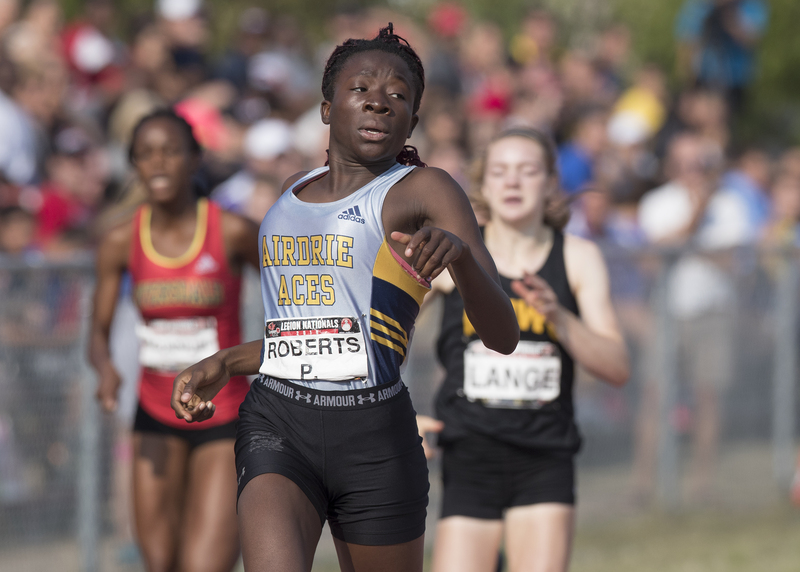 Princess Roberts of the Airdrie Aces Athletics Club in Alberta won the under-18 women’s 400 metres in 56.18s and took bronze in the 200 metres. 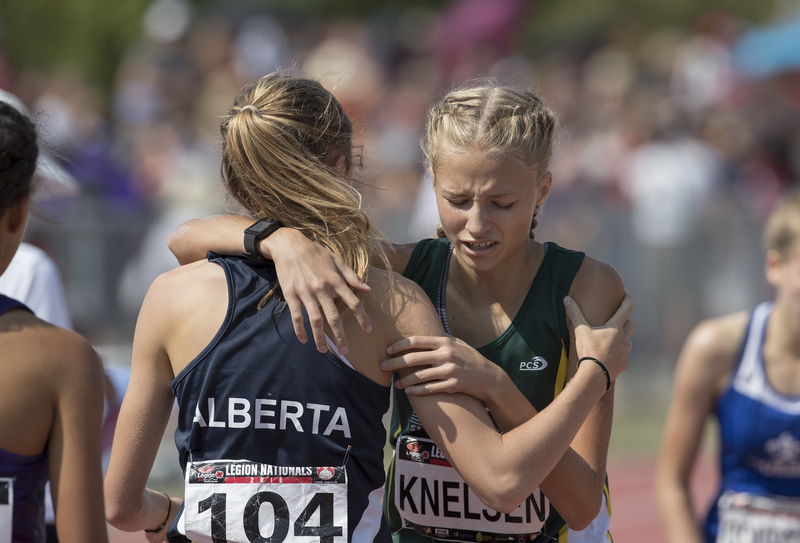 Hallee Knelsen of St. Thomas Legion Track and Field Club in London, Ont., took bronze in the under-16 women’s 800 metres. 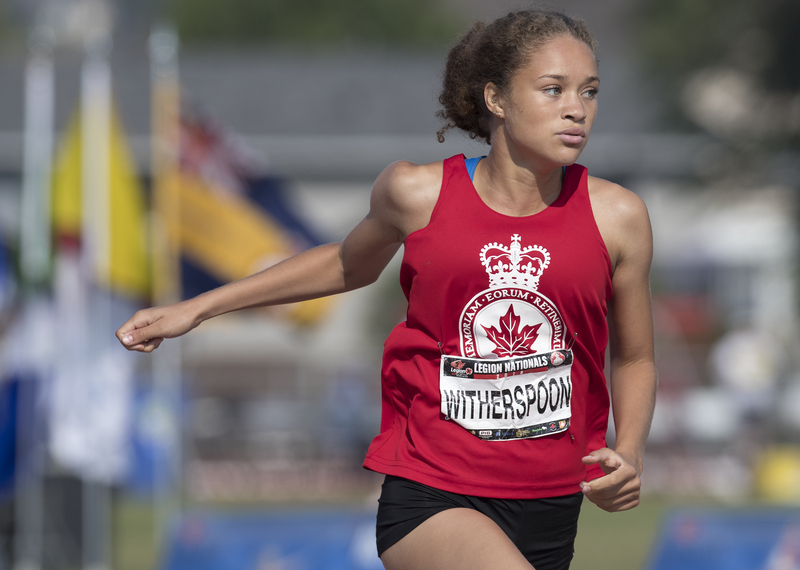 Anna Witherspoon of Ontario won the under-18 women’s 100-metre hurdles and took bronze in the 200-metre dash. 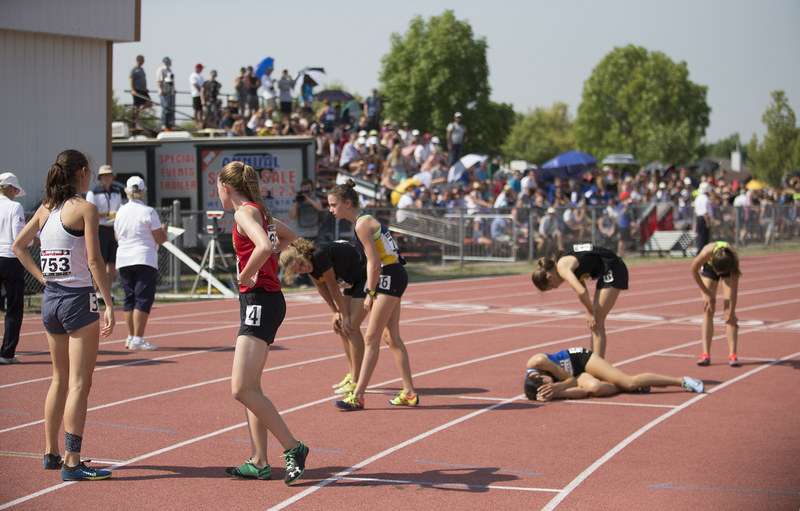 Distance runners at the end of a race in the 40-degree heat of Brandon. 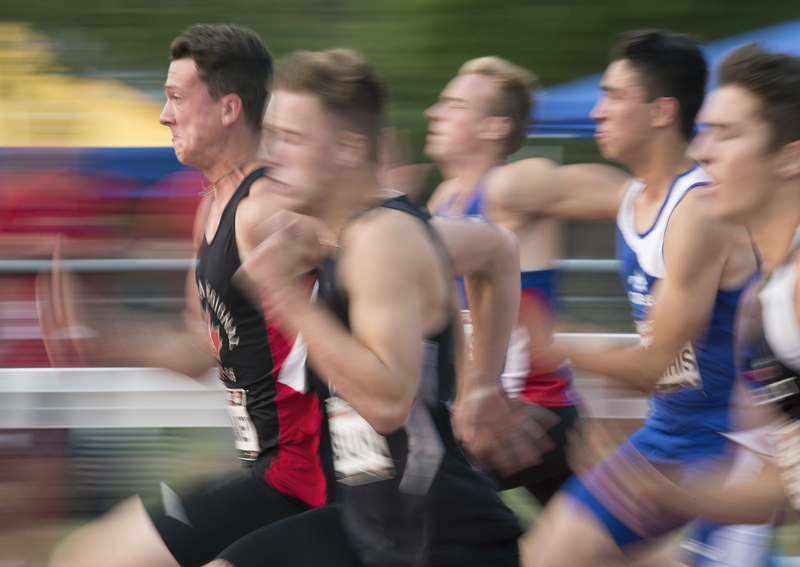 Runners in the under-18 men’s decathalon hit their stride in the 100-metre dash, the first event of a gruelling competition. 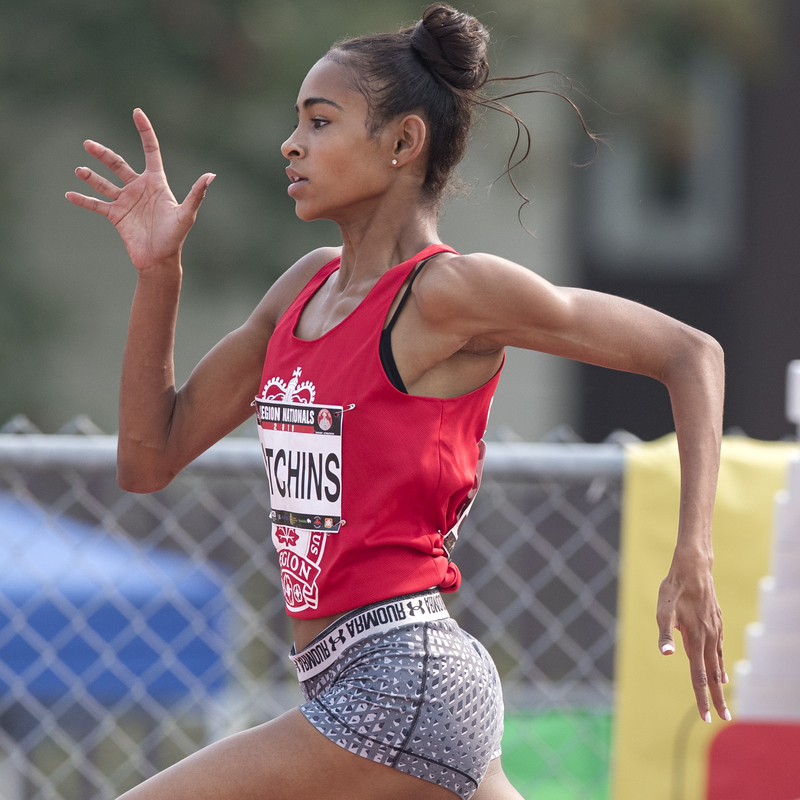 Aleeya Hutchins of Ontario won the under-18 women’s 800 metres in 2:09.76 and took bronze in the 400. 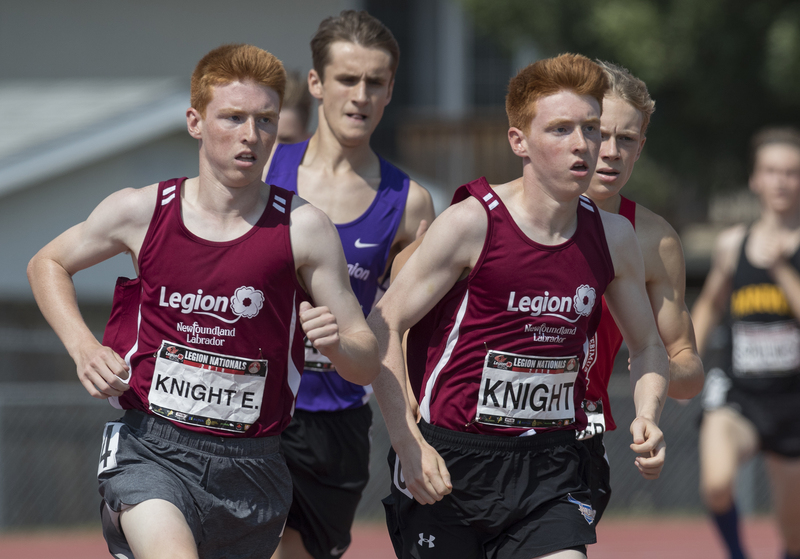 Newfoundland and Labrador’s Knight brothers, Evan (left) and Eric, run side-by-side early in the under-18 men’s 800 metres. 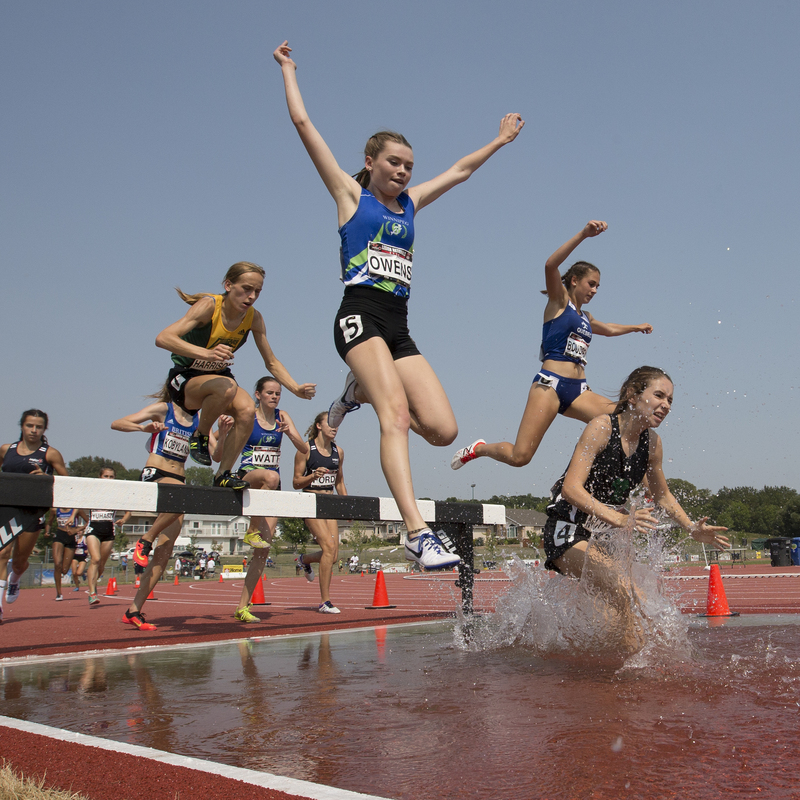 The under-18 women tackle the water jump in the 2,000-metre steeplechase. Camille Boudreau of Quebec (second from right) won in 7:09.51. 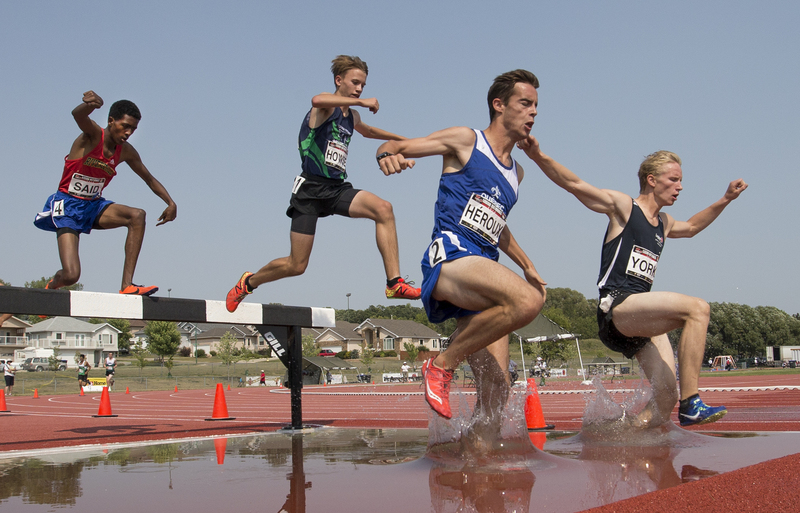 Skyler York of Alberta/NWT (right) and Eliott Heroux of Quebec finished 1-2 in the under-18 men’s 2,000-metre steeplechase. Moktar Said of Riverdale Athletics Club in Toronto overtook Jared Howse of Red Deer, Alta., for bronze. 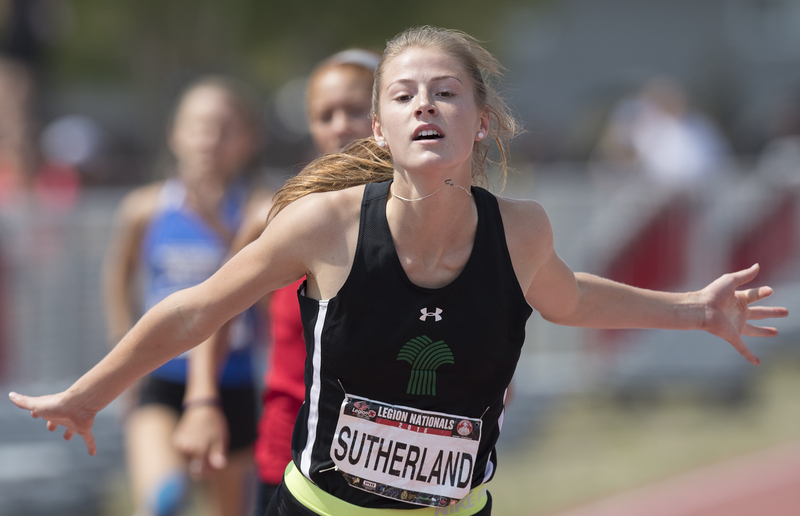 Savannah Sutherland of Saskatchewan dominated her under-16 events, taking gold in the 300 metres, the 80-metre hurdles and the 200-metre hurdles. Sutherland was awarded Top Female Athlete of the games. 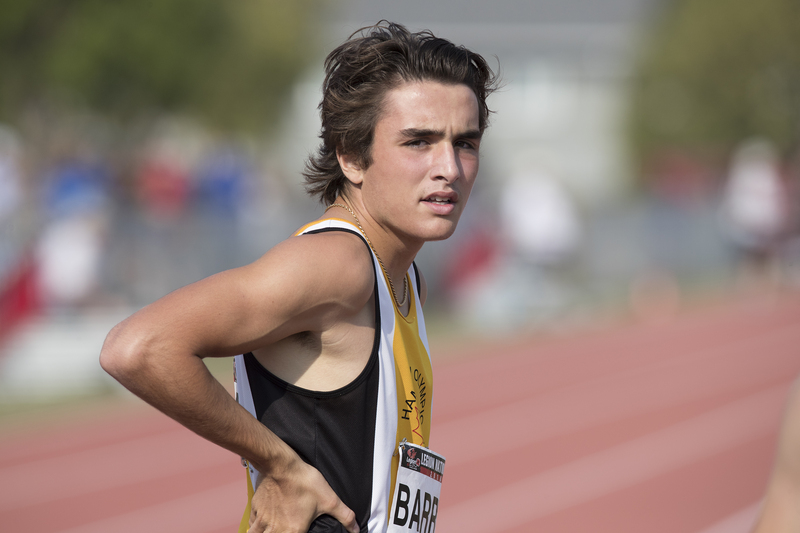 Fifteen-year-old Domenic Barresi of Hamilton Olympic Club finished just out of the medals with fourth places in both the under-16 men’s 100 and 200 metres. 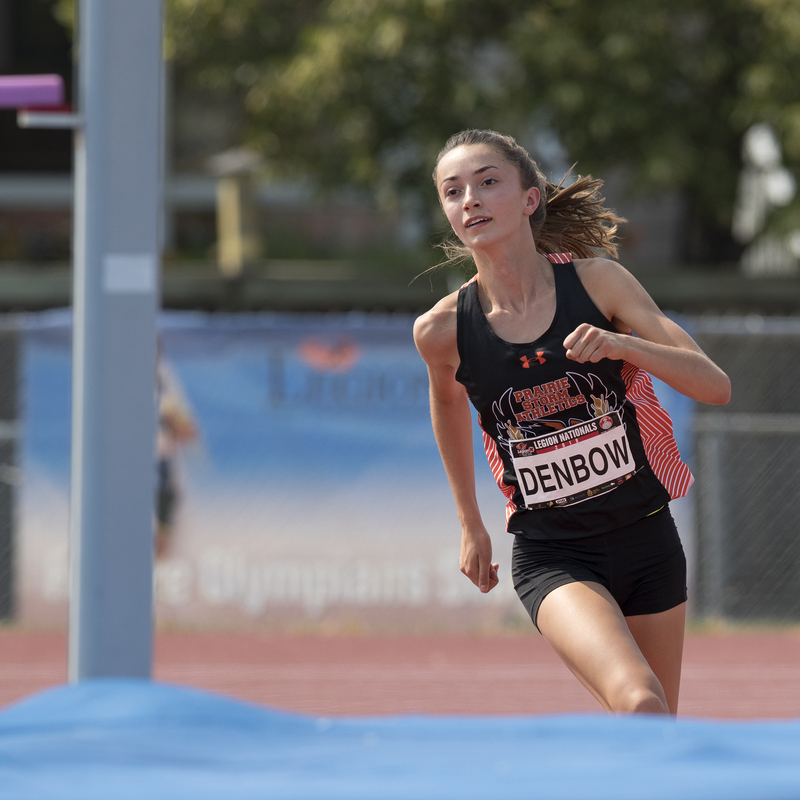 Lara Denbow of Prairie Storm Athletics in Neepawa, Man., won the under-16 women’s high jump, clearing 1.70 metres. 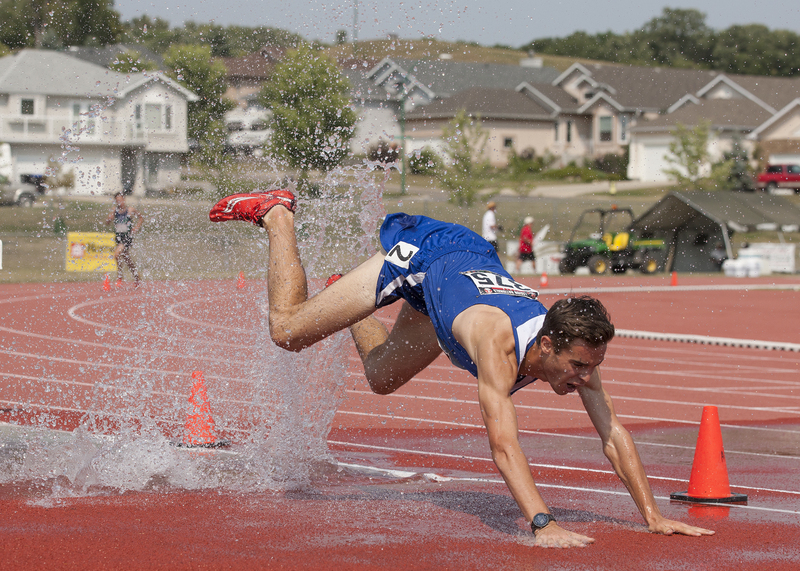 Eliot Heroux of Quebec took silver in the under-18 men’s 2,000-metre steeplechase despite this tumble. 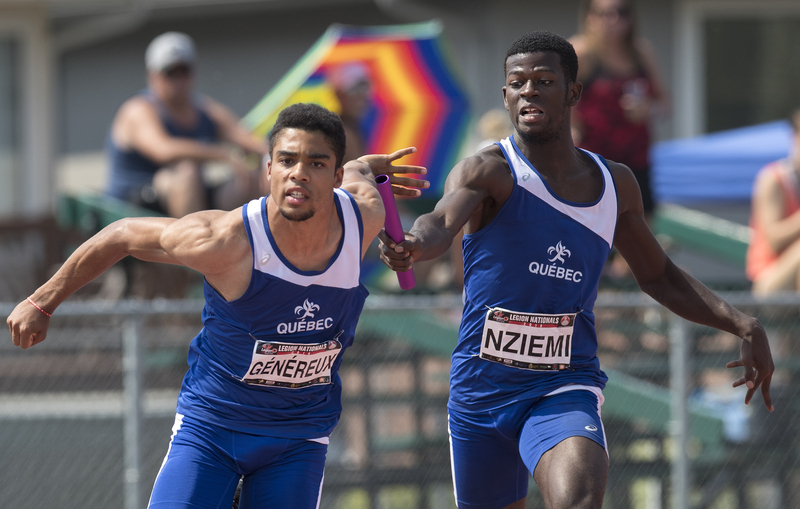 Joakim Genereux takes the final pass from Stephen Nziemi as Quebec runs for gold in 4×100. 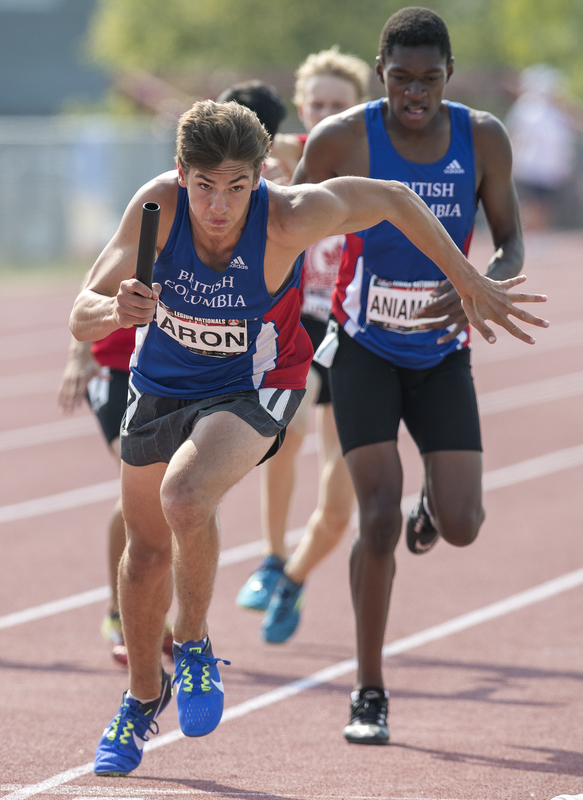 Three-time gold-medalist Nicholas Aron takes it home for B.C./Yukon, winners of the under-18 men’s 4×400 relay. Winnipeg Optimists 4×400 relay runners appear to have mixed emotions after a seventh-place finish. The parental papparazzi attend a medal ceremony in the 40-degree heat. 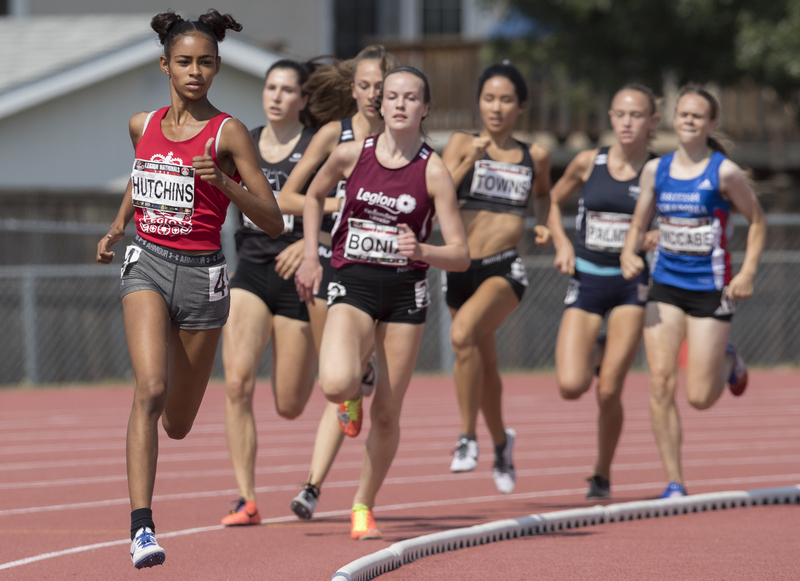 Aleeya Hutchins of Ontario won the under-18 women’s 800 metres in 2:09.76. 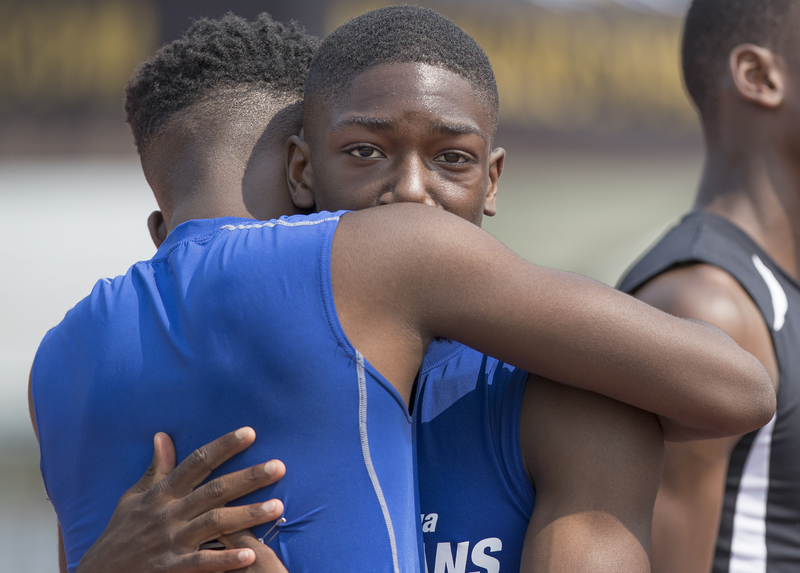 Jalon Rose of Mississauga Olympians Track and Field Club receives a conciliatory hug from twin brother Jadon after finishing second to him the under-18 men’s 100 metres. Congrats to all the athletes and bravo to all the winners in their respective events!